AFRICANGLOBE – History shows that communities from nation states, continents, empires, et cetera, rise and fall. It is the nature of things. The rising of a continent, like Africa as is daily touted, is a normal occurrence, it is expected. Africa is people — real people — not the subjects of fictional workshops at which for example, predominantly Western bankers and economists, spin their fine theories such as the structural adjustment programmes of the 1980s that so debilitated Africa. In 1957, Dr. Martin Luther King celebrated Ghana’s independence in a speech titled “The Birth of A New Nation” in which he described Africa as one of the most exploited continents in the history of the world. It has been the Dark Continent — that has suffered pain and affliction mustered up by other nations. It has experienced slavery and all of the lowest standards that we can think of. There is no doubt there was an ethnocide that wiped a significant number of the first nations of Africa — in full or in part. Forty years after Dr. King’s speech, James Shikwati, a distinguished Kenyan libertarian economist, in his chapter titled “The prospects for economic freedom in Africa” that is published in the book “Reclaiming Africa ” provides a possible explanation on Africa’s exploitation. Shikwati asserts that the African people are still grappling with institutions inherited from colonialists; that little progress has been made to get high-level production and consumption in Africa; that Africa had lost self-sufficiency in food production that it enjoyed before development assistance was invented; and that aid has had a powerful effect on state institutions in Africa, simultaneously sustaining them and stripping them of decision-making power. Shikwati adds that most African leaders who have failed to connect with the people of Africa that they purport to lead are products of “developed” countries’ university education. The distinguished Ghanaian economist, George BN Ayittey, once likened the state of Africa to the SS Titanic — the “unsinkable ship” that sank with thousands of victims perishing just because the several informed warnings to the ship that an iceberg lay ahead went unheeded. Like the Titanic, ideally, Africa is an unsinkable ship, but with several obstacles (icebergs) within it and without it, concluded Ayittey. He went ahead to proclaim that Africa need not sink in the ocean of perpetual poverty, disease, ignorance and exploitation. After all, Africa can learn that frantic efforts to save the Titanic were made when it was too late, therefore, Africa does not need reforms made on her death bed. It is time to reclaim Africa’s heritage and this must be done by the African people. Have we reclaimed Africa? Have we reclaimed Africa’s heritage? As recent as last year, 85 percent (33 of 39) countries that were characterised by the International Monetary Fund and the World Bank as ‘Heavily Indebted Poor Countries (HIPC)’ were African countries, over 50 percent of Africa’s nation states. This, most certainly, does not portray a picture of a continent that has reclaimed its heritage — a continent that scorns indebtedness and reveres achievements. This brings to mind the so-called “Arab Spring” and the way in which the global-west is flexing muscle, in words and in action. The global-west treats the African Union’s meek attempts to be part of the “world” in addressing the challenges on its continent. What is the measure for rising? “Rising” connotes positive change as opposed to change in the negative — decreasing. Applying the mythical assertion that numbers don’t lie, mathematically, we could measure Africa’s rise using the increase in the number of Africans who are blah, blah, blah, without necessarily putting the number in context. So, we might say Africa is rising because more Africans now own and use smart phones. If it is just one more African using a smart phone, then the statement is true, but it does not tell us how many more Africans are not using smart phones. Another mathematical measure is the percentage which solves the problem of indicating the other not rising, while demonstrating a reduction in the other and an increase in the rising. So we may say Africa is rising because the number of Africans using smart phones have increased to one per cent. In this measure we know that 99 per cent of Africans are not using smart phones, but nevertheless, it is a rise. What mathematical statements do not immediately tell us is how the rise they indicate came about. Questions such as: How did the increase come about? Did more Africans buy the Elikia phones? Were the phones donated as part of “development aid”? Were the phones a payment to pirates as ransom? For what use are the one per cent putting the phones? Basically, mathematical statements have the tendency not to deal with qualitative aspects. For example, a percentage rise can occur because of a reduction. If the overall number of Africans reduced then it is possible to achieve a one percent increase, without an increase in the actual number of persons using smart phones. Moreover, the one percent may have been the reason for the reduction in those who constitute the 99 percent. For a sociologist, comparisons become necessary in order to arrive at more qualitative measures. For example, if the number of Africans using smart phones have increased, what is the percentage increase in access to health care for the 99 percent not using the Elikia phones? Africa rising is a necessary smoke-screen to divert our attention from analysing why following Mwalimu Nyerere’s departure from political power, a leader who had governed closer to the tenants of the most fundamental aspects of African culture – the importance we attach to Man, Tanzania collapsed into the arms of the IMF and the World Bank; and in a period of only 13 years its per capita income reduced by half from US$280 at the time he left to US$140 in 1998. 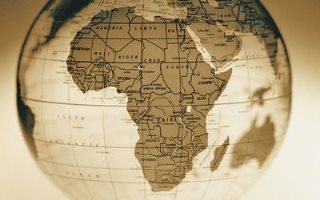 A closer analysis of the discourse of the so-called Arab Spring and the current tango between the leaders of African nation states and the International Criminal Court might reveal that Africa is still at the point in 1957, when Africa was again rising.